Ketu is shadow planet. A person become imprudently when there is impact of Ketu on Moon. Ketu doesn’t have thinking ability. If Ketu is along with Moon or Moon is in Ketu’s constellation then they do unnecessary doubts and feel insecurity. It is not good if your child wake up between sleep. They have scarcity of calcium in their body. The age of brain cells decrease. The conjunction of Moon-Ketu creates irritation. People don’t have patience. 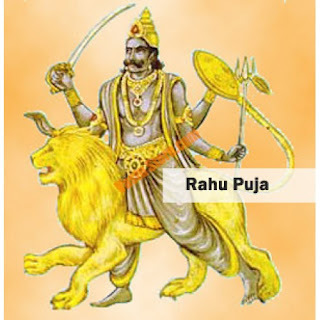 If Jupiter is in center or Moon is seeing by Jupiter You face problems in your marital life due to Ketu. However, if the Ketu is strong then it gives intelligence and person would be dexterity in astrology. They can easily change others luck. Ketu gives intelligence, force and prestige. Weak Ketu affects your Moon. In this case, age of mind cells decrease and you get backache. You won’t get much benefit from Moon when Ketu is weak. People move towards mortification when there is conjunction of Saturn-Mars. However, Ketu gives feeling of mortification after the age of 38. The Moon is balance if the Ketu’s part is upward. They are serene, calm and patient. But if the Ketu’s part is more upward then person would be gimmicky. They doubt, feel insecurity and they have fear of black magic. Ketu creates imagination which threatens you later on. If Ketu is suppressed, Moon and Venus is upward, Manibhandh is flat and there is no curve on it. Then person’s mind won’t work properly. You might suffer from schizophrenia due to conjunction of Moon-Ketu. People might become frustrated, despair and depressed. To get rid from its bad effects you have to mentally strong. It won’t hurt you. You can get rid from its bad effects. You have to laugh. You have to laugh more and more. Keep jest on your face. Ketu become weak if you keep your face serious. Ketu creates doubt. You should leave under the vicinity of your idol. It strengthens your Ketu. If you do not have idol then you can worship lord Ganesha. Ketu become balance by worshiping lord Ganesh. You should light ghee’s lamp in front of lord Ganesha. People who face problem getting married they should light ghee’s lamp on left side of Ganesha after sunset. Chant “Om Gum Ganpataye Namah” with basil or sandal rosary. You can donate Lahsunia. You should wear it in silver in throat. You can wear Lahsunia in middle finger on Saturday morning. Ketu become balance and strong if you eat curd. Do not eat stale food as it weakens your Ketu. Avoid eating spicy food. Do not eat tasteless food. You have to eat balance food. You should eat juicy fruit to get rid from bad effects of Ketu. Do not use steel grey color. Avoid wearing black color clothes. Grind little bit ashwgandha with 4-5 piece of mishri. Eat this powder after having your meal along with milk. Ashwgandha strengthens Ketu and makes it balance. People who are facing difficulty getting marry they should wear root of ashwgandha in grey color thread on Saturday or Friday.